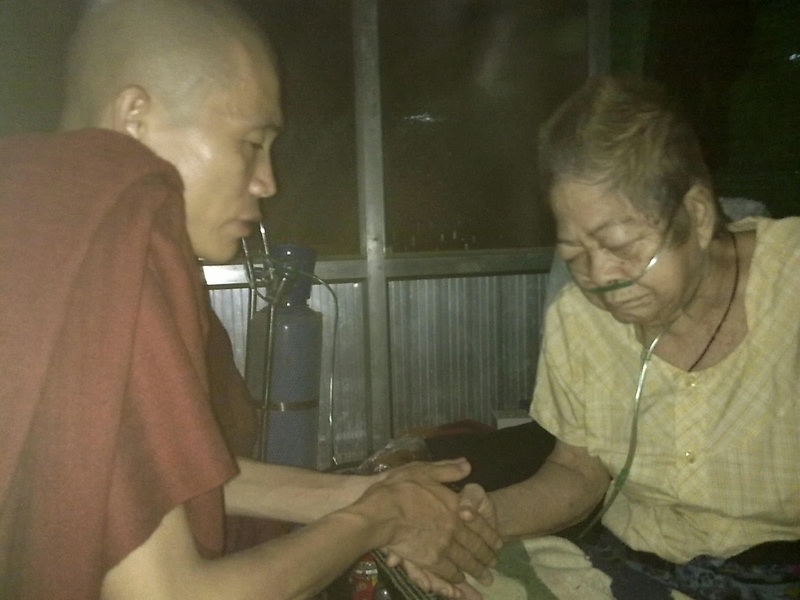 Sayadaw : It is necessary for us to do limitless Good Deeds as much as possible. It is not sufficient if people choose to do or have ability to do only one type of good deeds such as, doing dana (charity) only or observing sila (morality) only or doing bhavana (contemplation) only. With the aim of providing opportunities for yogis and disciples to do wide range of good deeds on regular basis, I established ThaBarWa Centre. On top of this, I am also leading them by example, teaching sacca dhamma and insight meditation as well as carrying out social duties and responsibilities by following dhamma teachings and solving the problems with the aid of dhamma . At the same time, I am encouraging and guiding them to do likewise, to follow my footstep. The most important and crucial point here is that I initiated into the Dhamma contemplation and practice while doing business and while I was going through poor health problems, I learnt not to solve problems and difficulties by following created social norms. Instead, I overcome and solve them by following dhamma philosophy and teachings. 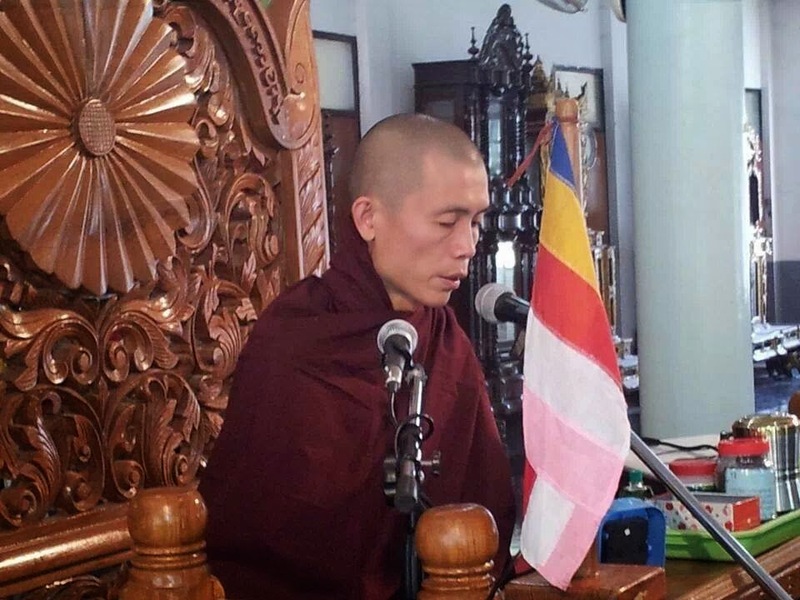 Ever since I have come to realize that practicing dhamma and doing dhamma contemplation is vital for everybody, every circumstances, time and place, I took on everyone who come to ThaBarWa to seek refuge. Those people include yogis, who are genuinely interested in to practice insight meditation as well as those who come here for care and attention due to various background and personal reasons such as poor health, unable to earn for living and unable to look after themselves among other reasons. I not only teach them sacca dhamma and insight meditation but also guide them to solve their problems and issues in a right way, by taking refuge in dhamma teachings and by doing good deeds. Now people have come realise that solving problems in dhamma way is the most effective and beneficial. Instead of confronting with and solving problems directly by following traditional and social norms, I encourage, train and guide those who come to ThaBarWa Centre to seek refuge, including aged persons and those who are facing complex health, social and financial problems, to solve their problems with the aid of dhamma. I teach them to enhance the power for true understanding by listening to dhamma teachings, practicing insight meditation and performing good deeds as much as possible. Those people gradually come to realize that their problems were solved due to the merits which they gained by doing various good deeds while staying at ThaBarWa. The news spread around and thus, as time goes by, we see more and more people with similar problems and issues seeking refuge at ThaBarWa Centre. Moreover, the yogis who genuinely have desire to practice vipassana insight meditation at ThaBarWa also take this opportunity and do good deeds by looking after the welfare of the residents who are taking refuge in the Centre. Since I am leading by example, by doing limitless good deeds continuously, all the yogis, disciples and volunteers are also following my footstep by doing good deeds as much as possible. Along the way, all of them came to realise that following my footsteps and doing those simple and basic actions can truly be beneficial and bring even greater results and benefits. Since it is the sanctuary without discrimination as to number, system, accommodation, time, race, religion, age etc., even more people from all walks of life are now seeking refuge at ThaBarWa Centre. This is the background summary of ThaBarWa, a peaceful sanctuary for the yogis as well as hopeless and helpless old and the infirm. I did not purposely create this situation. Neither was I given any alternative. In general, not many people have keen interests in staying permanently at meditation centres to practice meditation. As such, when I first established ThaBarWa Centre, I had no choice but to accept everyone, regardless of their character, background and teach sacca dhamma, insight meditation and merit making. Now, more and more people come to realise and accept the fact that doing simple good deeds can truly be beneficial and can achieve even greater results and benefits. Due to this good reputation, my project and mission becomes even bigger and reach to this current scale and level. At the same time, I am given more opportunities to do better things for people in future. Any question? Korean Yogi : Please give us short dhamma teaching containing the essence of your teaching so that watchers of this movie could understand and listen to some of your teachings. Teach us please. Sayadaw : Not only while you are practicing insight meditation and doing good deeds but also while carrying out your unavoidable social obligations and worldly endeavours, it is important for you to centre your mind on nothing but abandoning at all times. It is important for you to abandon your habit of placing central emphasis on yourself, your perceived rights and wrongs, time, place, method, etc, . I centre my teaching on this most important aspect of dhamma, 'doing abandoning in your mind at all times', and train my yogis and disciples accordingly. Everybody needs to do good deeds as much as possible. Even when you are carrying out unavoidable social obligations, you need to learn to do them freely, 'doing-only'. If you carry out your actions by centring your mind on human beings, animals, I, you, man, woman, living beings, non-living things, etc, your actions can be considered as you are simply doing your actions with grasping on human beings, animals, living beings, non-living things, man, woman, etc. It is a norm for people to carry out their worldly actions and tasks with grasping. Even when they are doing dana, sila and bhavana good deeds, they habitually do them with grasping such as human beings, animals, seniority, old, young, living, non-living, I, you, man, woman, etc. The essence of my teaching and coaching centre mainly on the cause (effort), attaining the mind power to abandon their habit of placing central emphasis on themselves, others, methods, time, place, etc, in their mind. My teaching centre mainly on solving the most important and critical problem and teach them the right way to solve those problems. This method, so far, is the most suitable and essential method for current, present-day situation. If the situation change in future, I will change my teachings and methods accordingly to fit in to the changing environment and situation. I will continuously guide and lead my yogis and disciples to their ultimate goal of attaining the ability to do limitless good deeds without grasping.